Teeth and their surrounding structures are exceptional sources for addressing significant questions in numerous disciplines. In this publication, an international, multidisciplinary team of researchers addresses important issues on current aspects of dental morphology research from evolutionary, anatomical, clinical and archaeological perspectives. 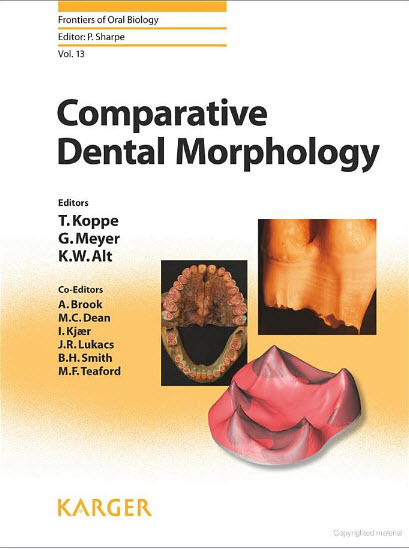 In combining leading-edge methods of data acquisition and analyses, such as molecular analyses and highly advanced non-destructive imaging technologies, the book demonstrates how information about various aspects of dental morphology can be used to explore the evolution of vertebrate life histories, a subject most relevant to our own species. The chapters provide profound discussions on dental evolution, dental morphology, dental tissues, dental growth and development, as well as on clinical aspects of dental morphology. As a special feature, the publication provides new information about the role of teeth as tools in reconstructing the nature and behaviour of past populations.